For many of us, it just doesn’t feel like summer until we hear the whistle, crack and boom of fireworks exploding overhead. That’s how summer sounds. 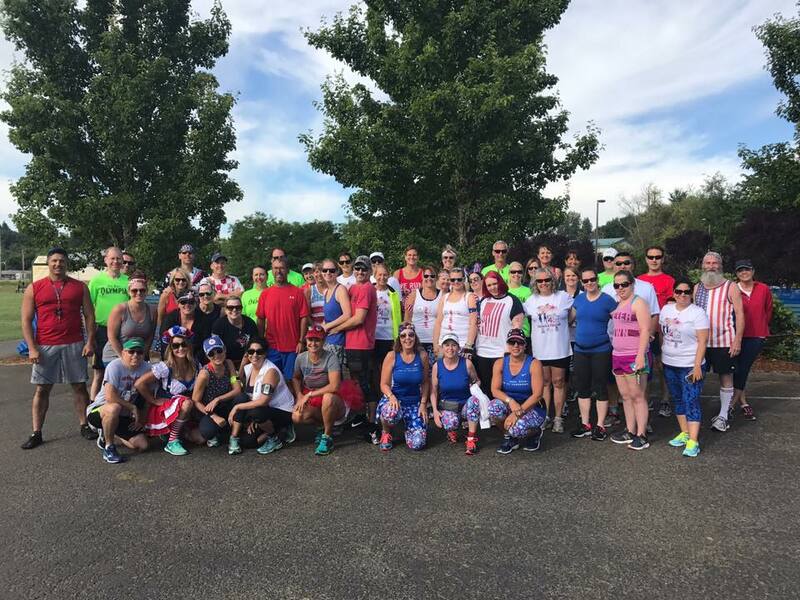 With average temperatures in the 70s, Thurston County is the perfect place to celebrate the 4th of July, with plenty of firework shows taking place in Olympia, Lacey, Tumwater, and beyond. With shows on multiple days, you don’t have to choose just one show, instead you can an array of colors light up the night sky in different cities as we celebrate the land of the free. The fourth of July fun isn’t just at night, however. 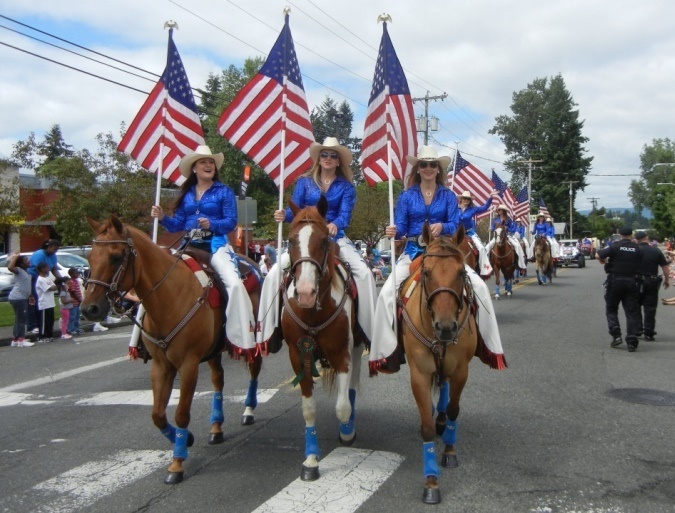 During the day, you can enjoy Independence Day parades and festivals the whole family will love in several cities throughout Thurston County. Just remember the sunscreen, sunglasses, and chairs to sit in while you watch the parade pass you by. Planning on having a firework show at home? Be sure to check out the Washington State Patrol’s guidelines and information resources on which Thurston County cities have firework bans and/or restrictions. 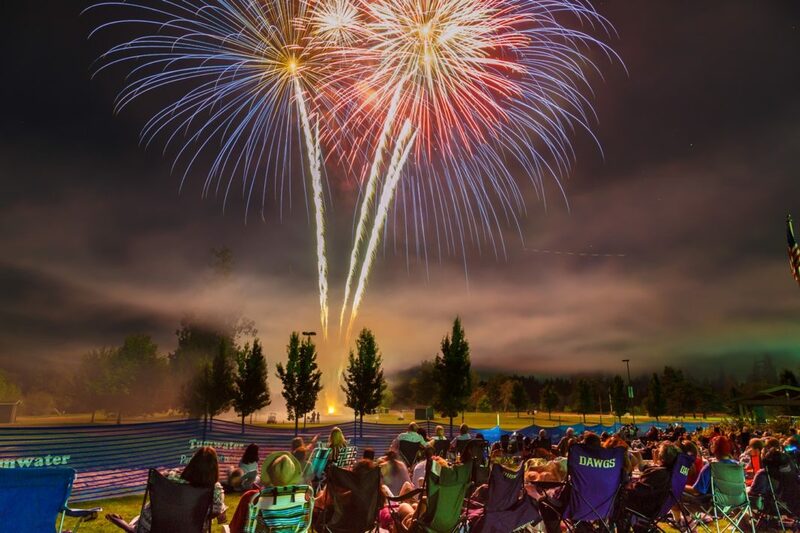 The Lacey fireworks spectacular is really a not-to-be missed free family-friendly extravaganza. 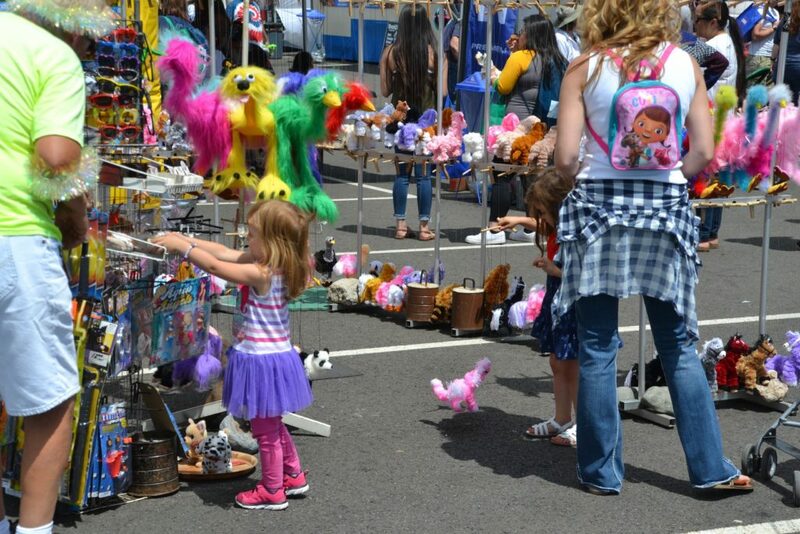 Starting at 3:00 p.m., this City of Lacey tradition is jam-packed with activities including food vendors, booths full of free activities, a KidzPlay area (opens at 4:00 p.m.) and features a free giant slide, obstacle course, bounce houses. and more. Shows featuring extreme trampoline artists and country music make it a day the whole family will enjoy. Sponsored by TwinStar Credit Union, South Sound Center (Capital Development Company), and the Lacey South Sound Chamber. The firework show presented by TwinStar Credit Union starts at 10:00 p.m. Intercity Transit is offering free rides July 3 to and from the firework show. Just let the drive know “I’m going to the fireworks!” More information can be found on the City of Lacey’s website. Rainier Vista Park – 5475 45th Ave SE, Lacey. 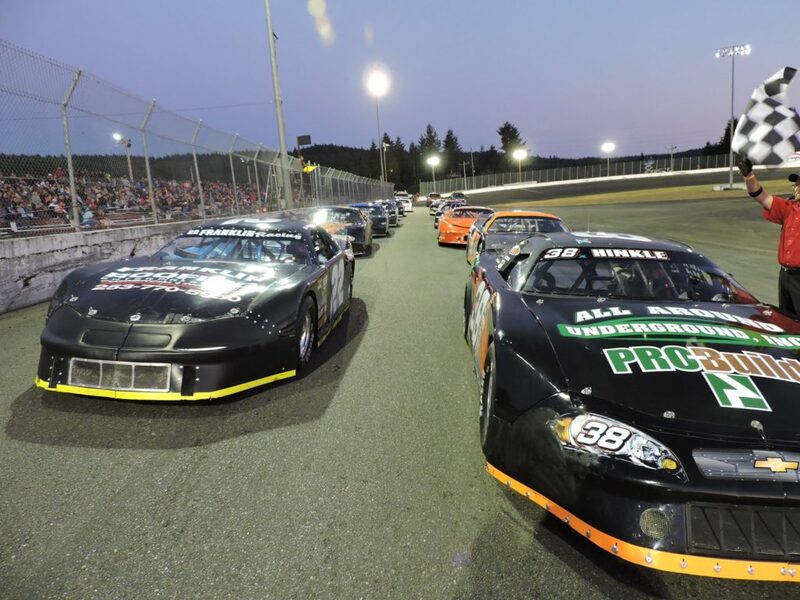 The South Sound Speedway gets an early start with their fireworks show in Rochester. What’s better than loud cars and even louder booms? The show starts at 6:30 p.m. and includes Wes Rhodes super late model 126, hobby stocks, baby grands, and tuner cars. Admission is $22 for adults, $20 for teens (13- to 17-years-old) and active military, $10 for children (6- to 12-years-old), and free for children 5-years-old and under. Follow them on Facebook for details, and directions. Start your Fourth of July fun early with the Fairways & Fireworks Fore on the 4th Fun Run. This 4-mile fun run/walk goes along the Tumwater Valley Golf Course cart path and fairways. Check-in begins at 8:00 a.m. and the run starts at 9:00 a.m. $20 for adults and $10 for children 17-years-old and under. Funds raised support golf programs for low-income youth in our community. River’s Edge Restaurant will also serve a special breakfast buffet following the run. For details, contact the Pro Shop at 360-943-9500 or the Parks & Recreation Department at 360-754-4160. Tumwater Valley Golf Course- 4611 Tumwater Valley Drive SE in Tumwater. 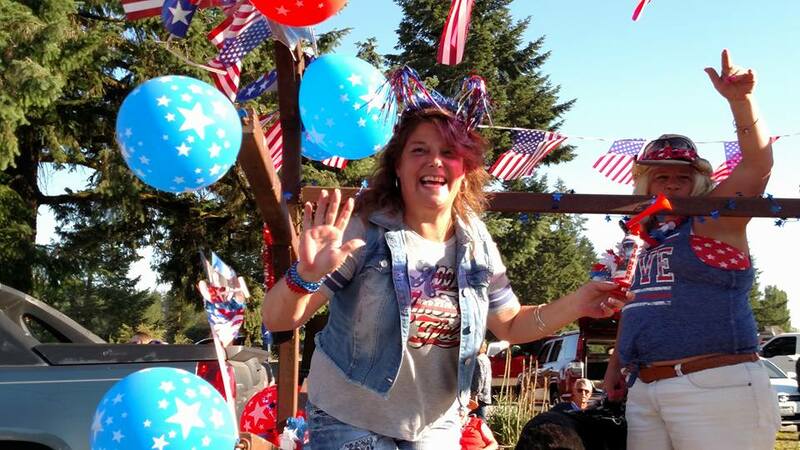 The City of Tumwater is also having its annual Independence Day Parade staring at 11:00 a.m. The parade starts at the corner of Capital Boulevard and Lee Street, moves south on Capitol to Israel Road, then turns west onto Israel Road, past City Hall, and ends at the Linderson Way intersection. Individuals and organizations interested in participating in the parade are welcome to contact Tumwater Parks & Recreation at 360-754-4160. More information, including participant packets, is also available on the City of Tumwater website. 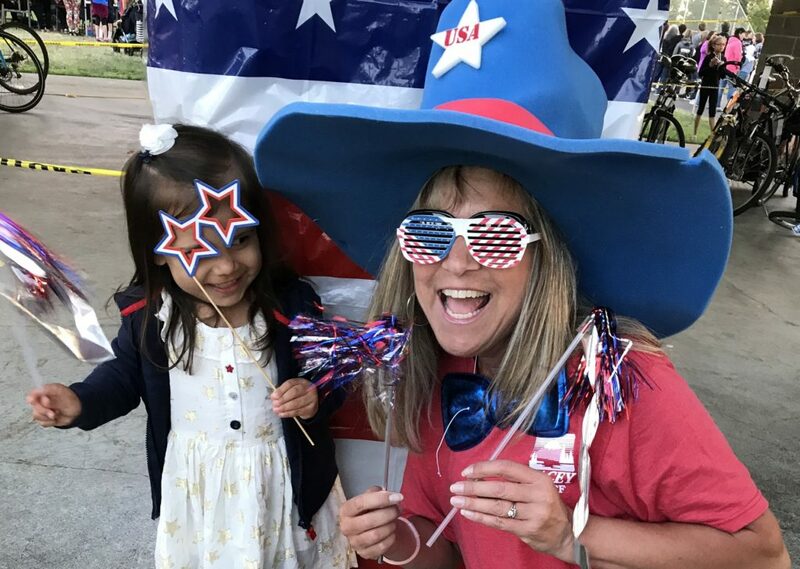 Open to DOD ID card holders and their families on July 3, the public is invited to this fun Fourth of July celebration on July 4 at 11:00 a.m. at JBLM. There will be rides, games, food, entertainment, music, a kid’s stage and fireworks. Country star David Lee Murphy will be performing 5:00 p.m. – 6:30 p.m.
Don’t forget to stop by the America’s Credit Union booth to get your prism glasses for the fireworks. Guests without an installation access pass should enter JBLM Lewis-Main via the DuPont Gate. For more information, visit the Freedom Fest web page. If you are looking for a firework show in Tumwater, here it is! The Artesian Family Festival and Thunder Valley Fireworks show happens every year on the fourth of July and is free for the whole family. The festival starts at 6:00 p.m. There will be food, music, games, and more to keep the family busy until the firework show starts at 10:15 p.m. Parking is $10 a car. No pets, alcohol or barbecues allowed. Tumwater Valley Golf Course – 4611 Tumwater Valley Drive SE in Tumwater. The owners of the Littlerock Saloon in Olympia moved from Los Angeles 6 years ago, when they purchased the bar. There was a parade in Sierra Madre and the couple missed it, so they decided to put out a sign-up sheet for their own parade right outside their saloon. They had no idea it would get so big! Anyone is invited to join in the parade and there are lots of animals – horses, goats, dogs, etc. They do ask that you don’t ride loud bikes in the parade, so as not to scare the animals. You can also just come and watch if you are not interested in participating. The parade starts at 6:00 p.m. For more information, stop by the bar or visit the Littlerock Saloon Facebook page. The Team at ThurstonTalk Wishes you all a Happy and Safe Fourth of July!